“When I eat Hukad dishes, I would always remember how mom took care of me when I was young. So it’s always nakakabusog ng tiyan at ng puso when it’s my turn to treat my mom at Hukad, because it brings us closer as a family.”shares Gerald Anderson. Just like him, everybody loves a feast, and Golden Cowrieand Hukad are favorite dining destinations thatserve Filipino comfort food such as Crispy Pata and Bantayan Baked Scallops. Fans of Gerald Anderson can get the chance to meet the actor by dining at any of 43 Hukad and Golden Cowrie branches nationwide. 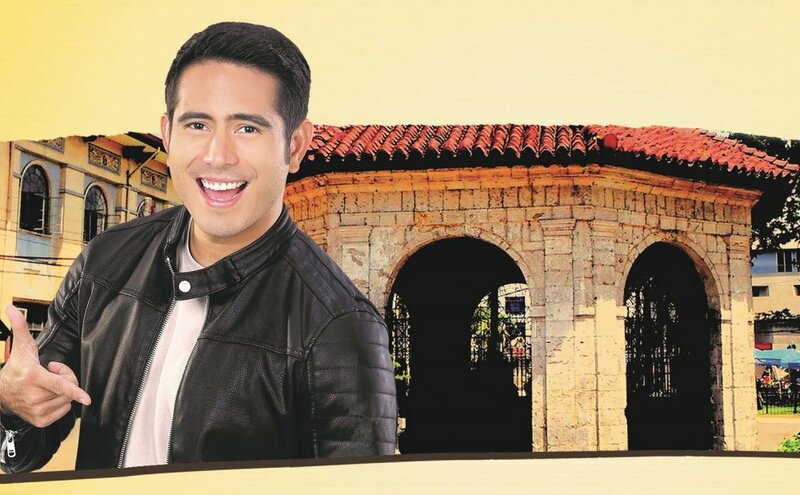 Lakwatsa ‘Ta, Bai!will bring10 lucky winners on a three day, two night vacation and tour in Cebu City for two persons from August 11-13, 2018, including an exclusive encounter with Gerald on August 12 at the meet-and-greet event at Ayala Center Cebu. Every dine-in receipt of Php 1,500 from April 15 – June 30 will be equivalent to one (1) raffle stub. The grand draw will be on July 9. Hukad and Golden Cowrie have showcased the best of Filipino food for more than 30 years. With the goal of “a Hukad in every city,” the brand now has over 40 branches in Cebu, and key cities around the country including Manila, Davao, Bohol, Dumaguete, Iloilo, Boracay, Tacloban, Bacolod, General Santos, Pagadian, Ozamiz, Butuan, Cotabato, Zamboanga, and more. In Cebu, Golden Cowrie is located in Salinas Drive, A.S. Fortuna Street, Mactan Marina Mall, SM City Cebu, and the newly-opened Golden Cowrie Filipino Kitchen at Ayala Center Cebu. Hukad is located in Robinson’s Cybergate, The Terraces of Ayala Center Cebu, Parkmall, South Town Centre, SM Seaside City Cebu and Sands Gateway in Danao City. For deliveries and reservations, contact (032) 233-4243 and (032) 233-3278. Visit www.alwaysafeast.ph to know more about this proudly homegrown, Cebuano restaurant.